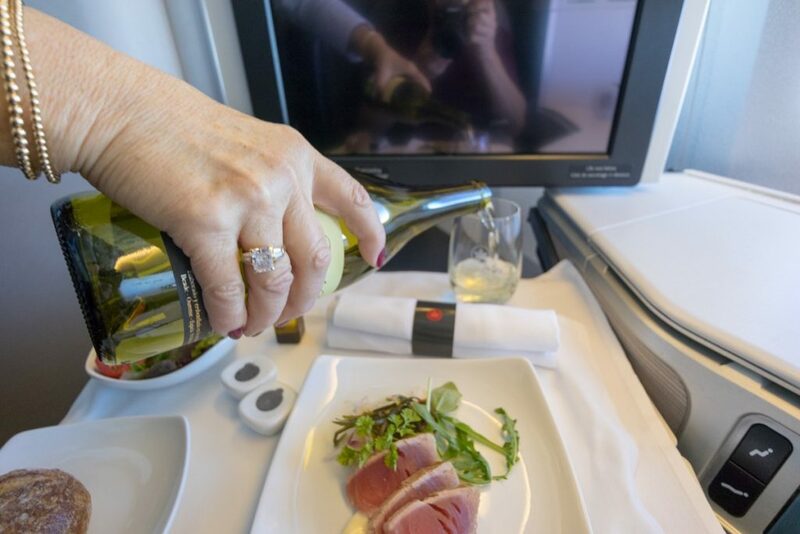 This Star Alliance airline has been aggressively expanding into Australia, flying direct from Sydney, Melbourne and Brisbane to Vancouver, offering an alternative to flying through Los Angeles or San Francisco. 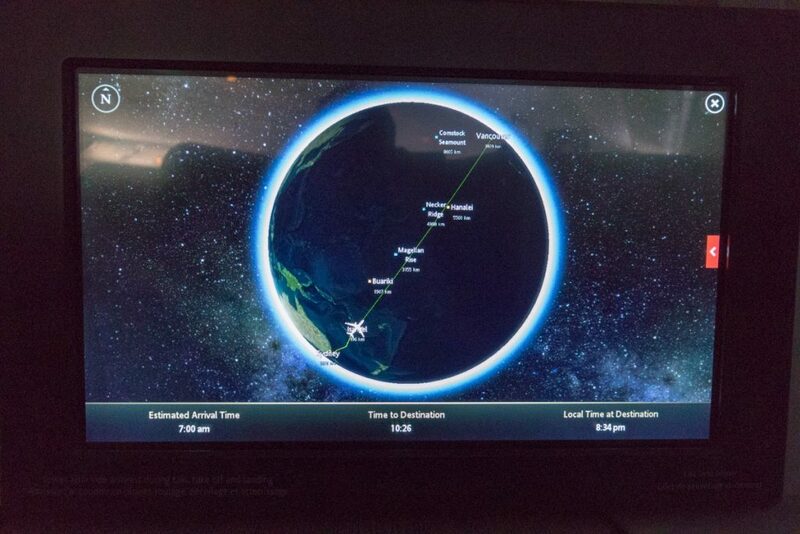 I used 80,000 United MileagePlus miles + ~$82 AUD in taxes per person for this one-way flight. 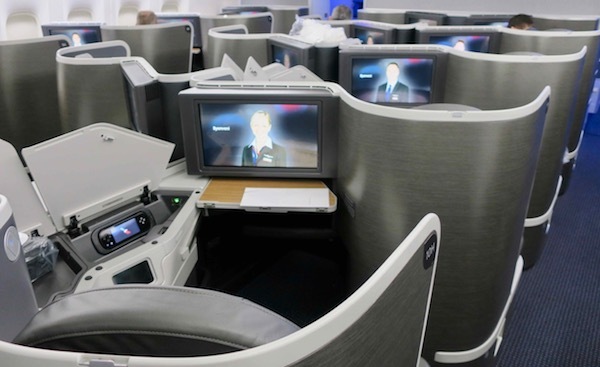 Air Canada has fitted the ‘Executive Pods’ to its fleet of Boeing 777 and 787 aircraft, which fly from Sydney, Melbourne and Brisbane. and are convertible into a lie-flat bed. A large pillow and duvet is provided however there is no ‘turn down service’ or mattress topper. 26 seats are in the front cabin and 14 in the rear mini-cabin (pictured below). 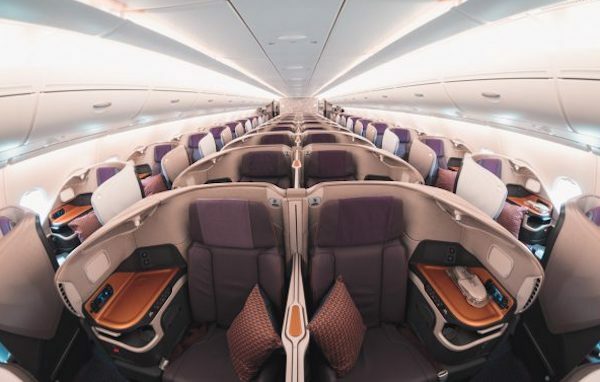 Virgin Australia flies a larger 777-300ER with the same seat type between Australia and LA, so it is hard not to make comparisons. 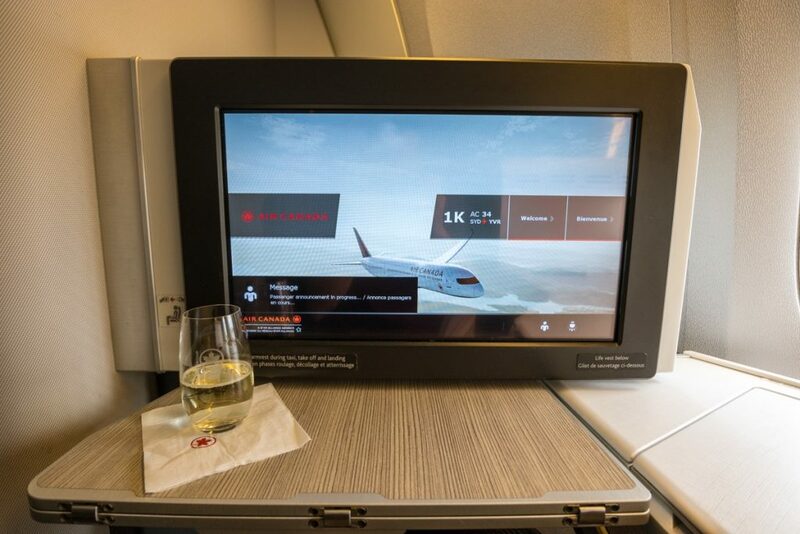 Unfortunately, unlike Virgin Australia, Air Canada does not have a bar onboard. 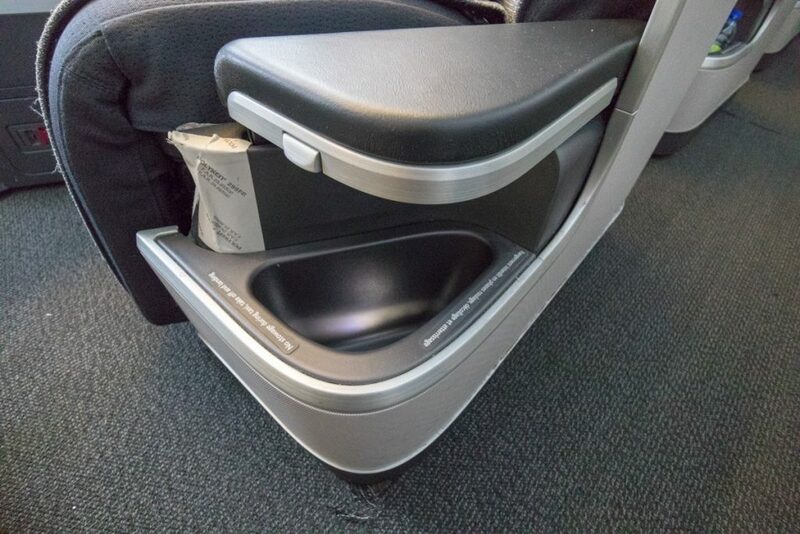 There is excellent storage around the seat including a deep storage bin alongside the window where the remote control, headphone jack, USB and power adapter are located. 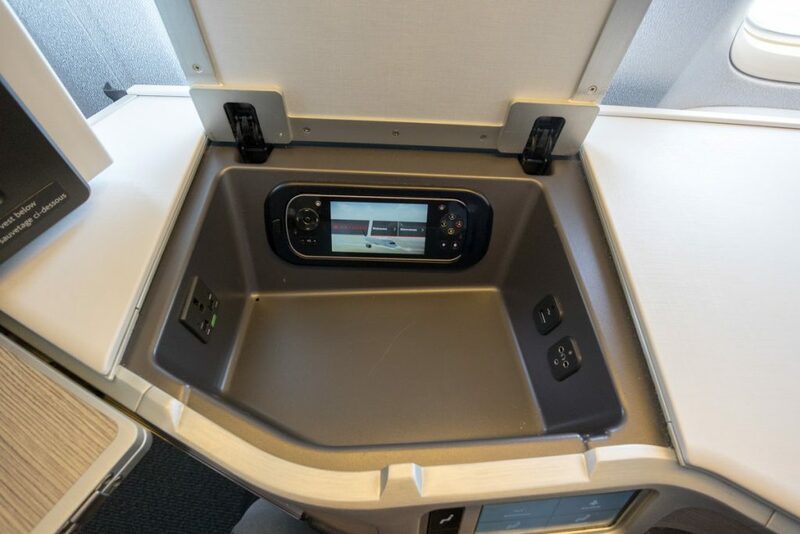 This means you can charge small electronic devices and have the lid closed so everything is out of sight. 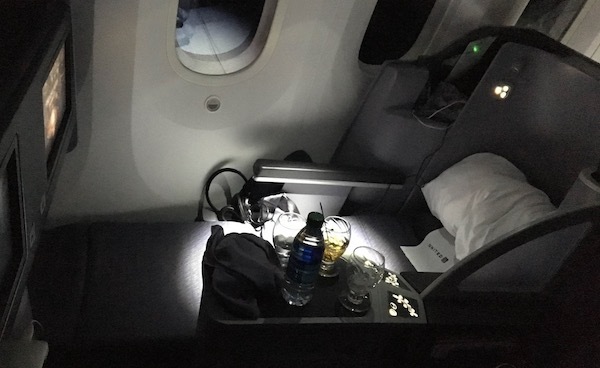 The literature pocket is located under the tray table alongside the window, as well as another storage pocket in front. 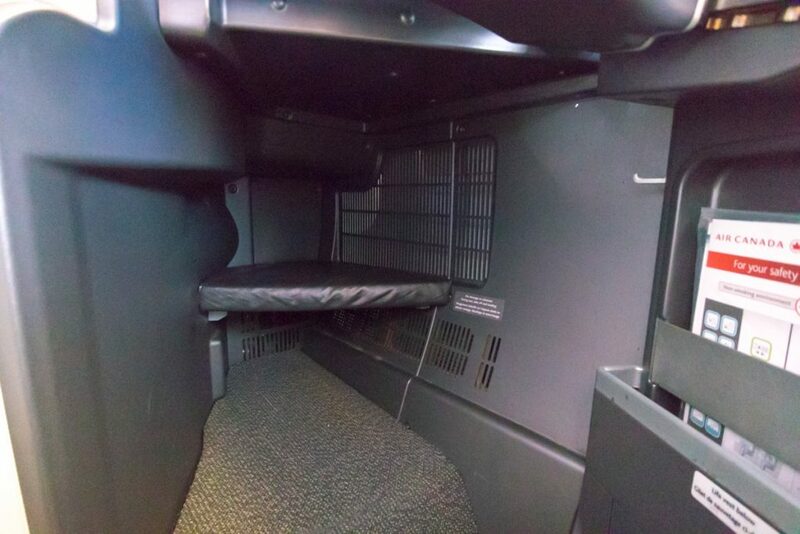 Additional storage space is located under the armrest, however, this is exposed to the aisle, so I would not recommend storing anything of value in there. 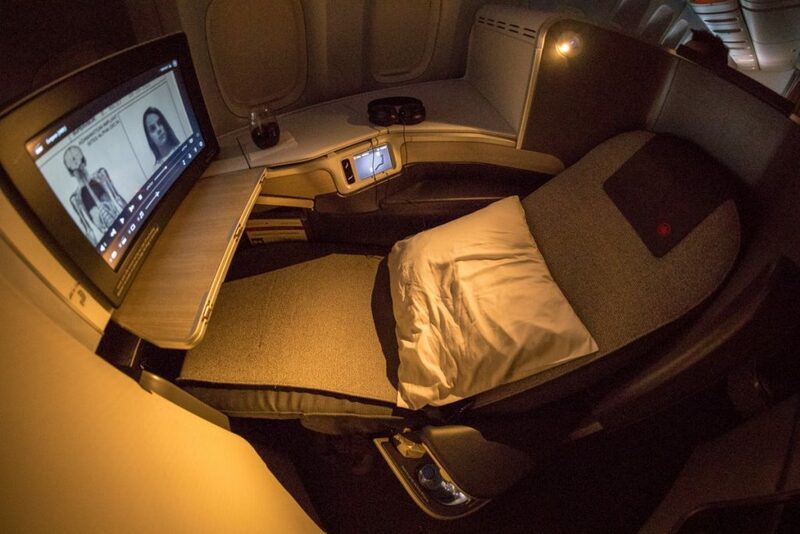 The seat has an electronic height adjustable headrest and massage feature. As my seat controller completely froze during the flight, I was temporarily unable to adjust the seat, however, thankfully a restart of the seat fixed the issue. 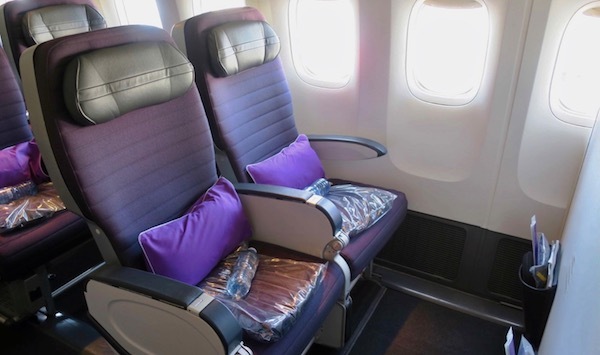 Window seat lovers will choose any A or K seats, which angle towards the window, whilst those travelling together would usually want the E and F centre pair, which angle towards each other. 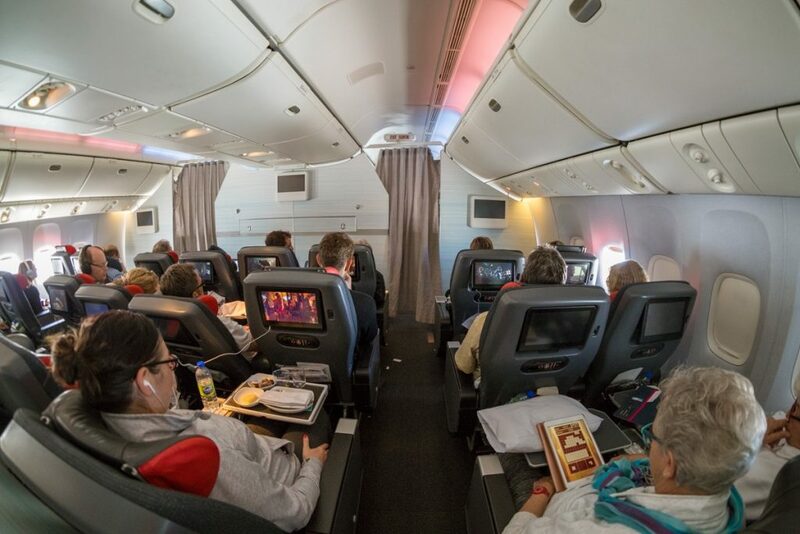 Do note that the privacy divider between the seats cannot be lowered. 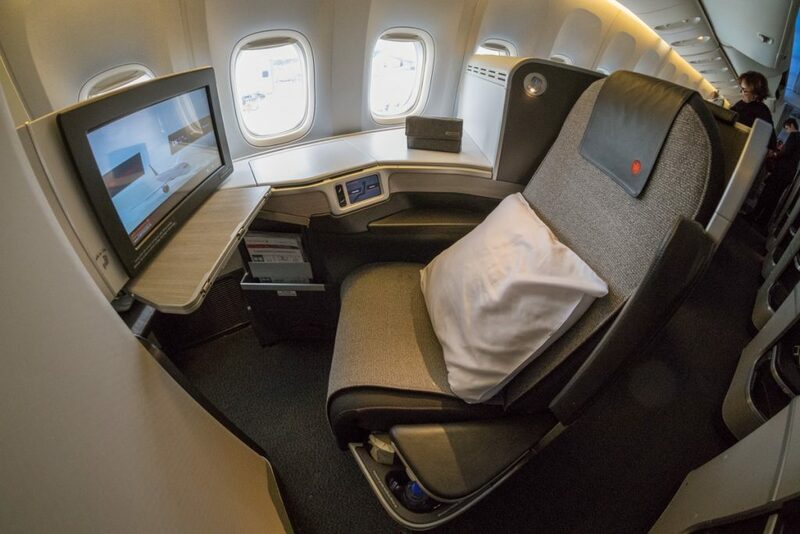 However, if you’re travelling with someone, you might opt to both enjoy windows seats, which is what we selected. 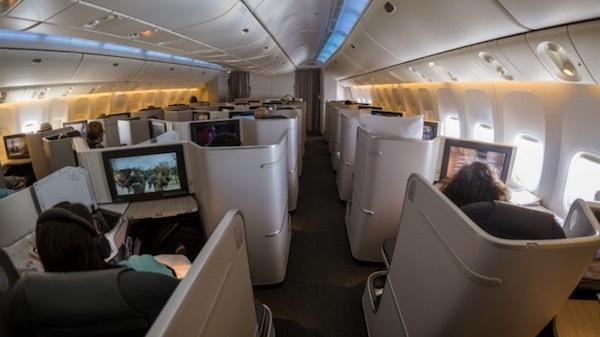 I was seated in 1K and it felt very private due to the bulkhead which extends into the cabin. 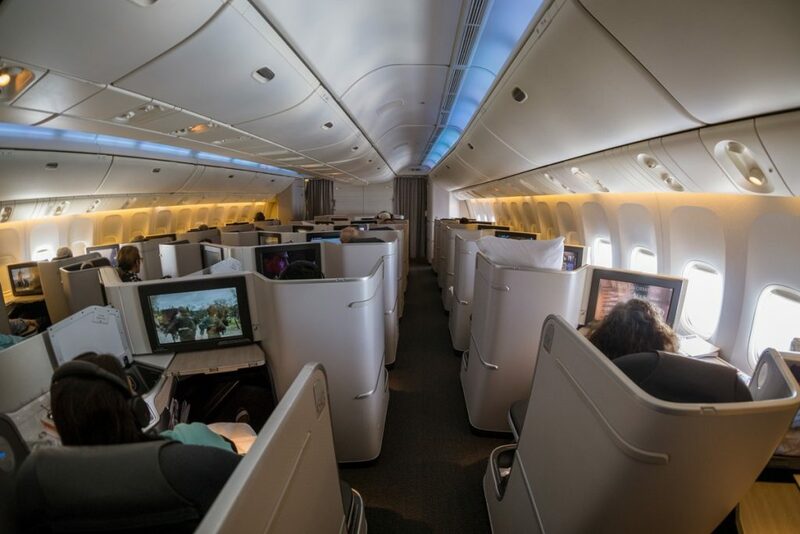 Row 8 in the rear cabin would feel the same yet may have more traffic, considering the toilets are located directly in front of these seats. 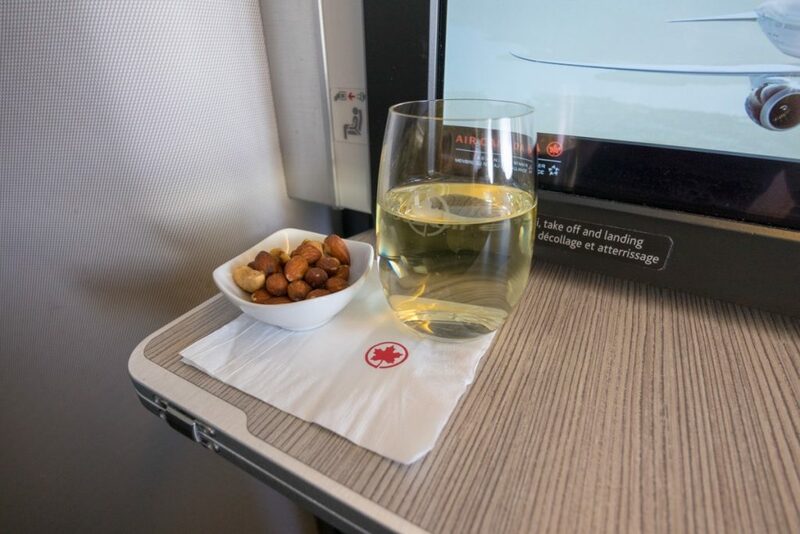 After take-off, warm nuts and a drink are offered. 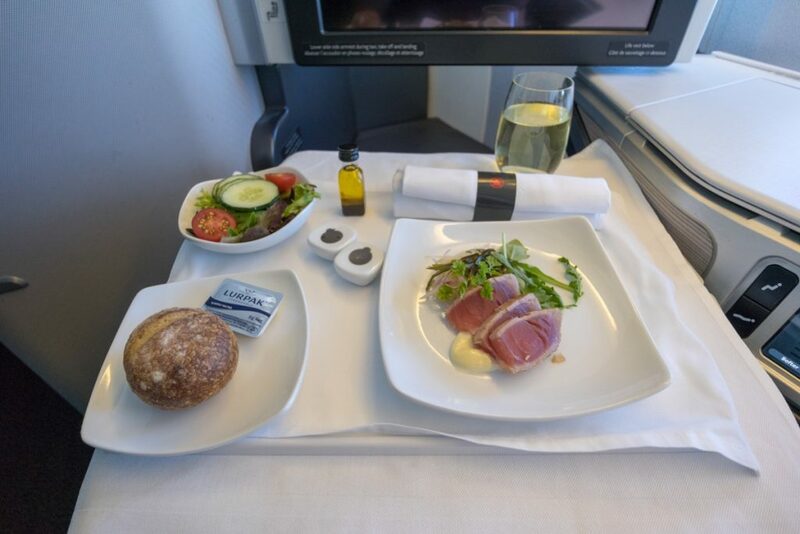 The lunch service included delicious yellowfin tuna for appetiser with a mixed salad. 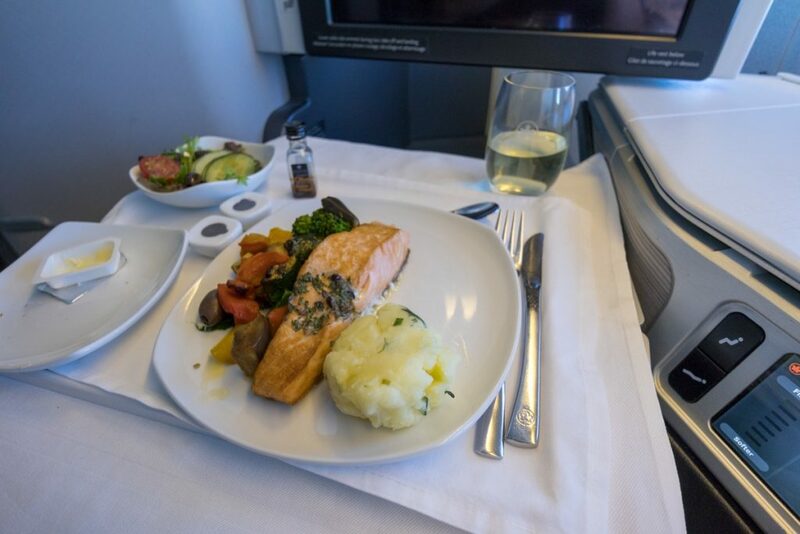 For the main, I selected the seared salmon and my partner had the herb-crusted lamb—both were cooked perfectly and were full of flavour. The Spanish Treixadura wine paired perfectly with my seafood dishes. Dessert was a selection of cheese, ice cream or a slice of pumpkin cake. 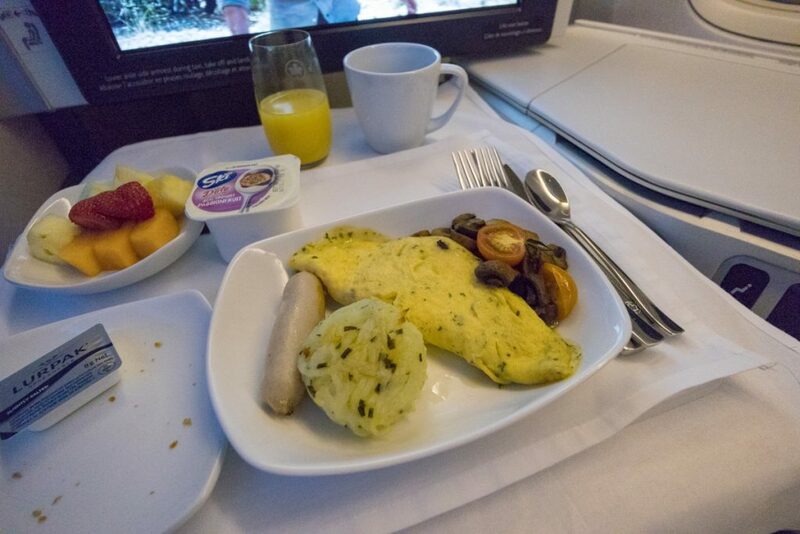 A breakfast service is offered before landing in Vancouver, which included a choice of an omelette, crepe or pasta. 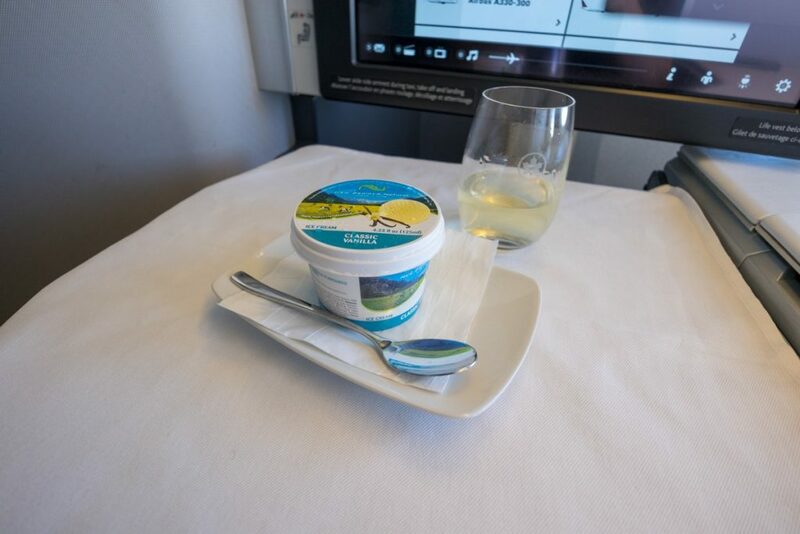 Meals are served from a trolley with dinnerware pre-set on trays, which doesn’t feel as premium as Virgin Australia’s restaurant-style meal experience, although it does make for faster food service. The crew were professional and personable. 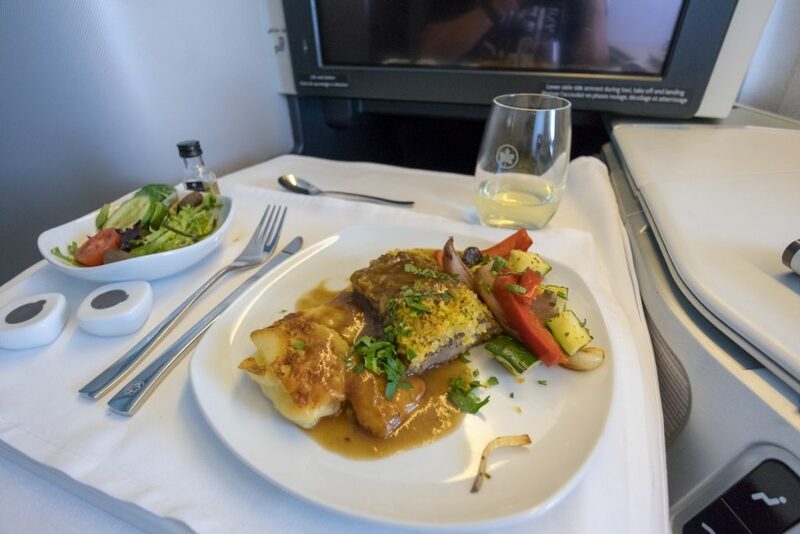 The cabin service manager personally introduced himself before departure from Sydney. The crew were also very attentive offering refills to drinks and checking if we needed anything a few times after the meal service. I never had to use the call bell. 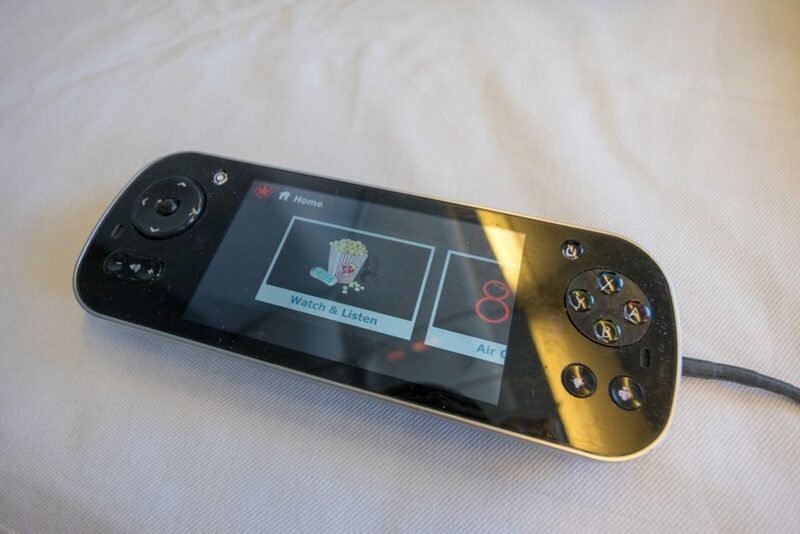 A large 18-inch fixed-angle HD display sits in front and you can either select content from the responsive touchscreen or from the wired hand controller. Noise-cancelling headphones are also available. There was a large selection of content including new-release movies and TV shows. 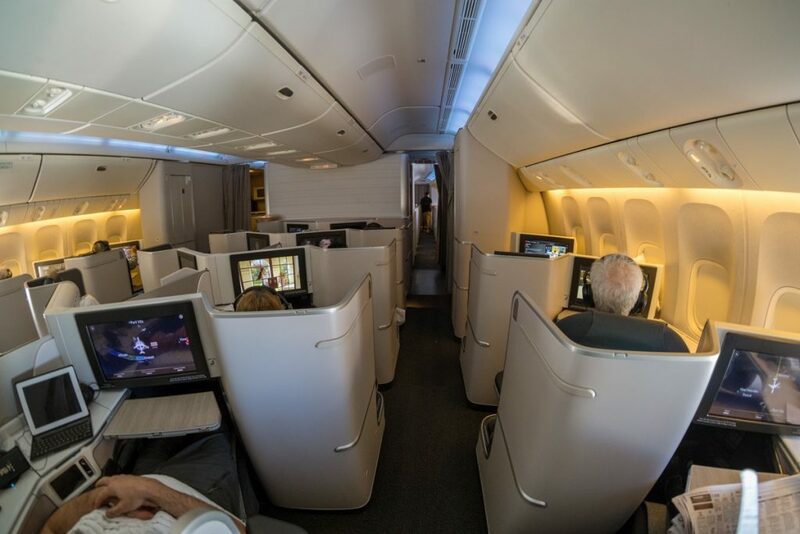 One lavatory is located at the front of the aircraft and two more where the cabin is split into two. 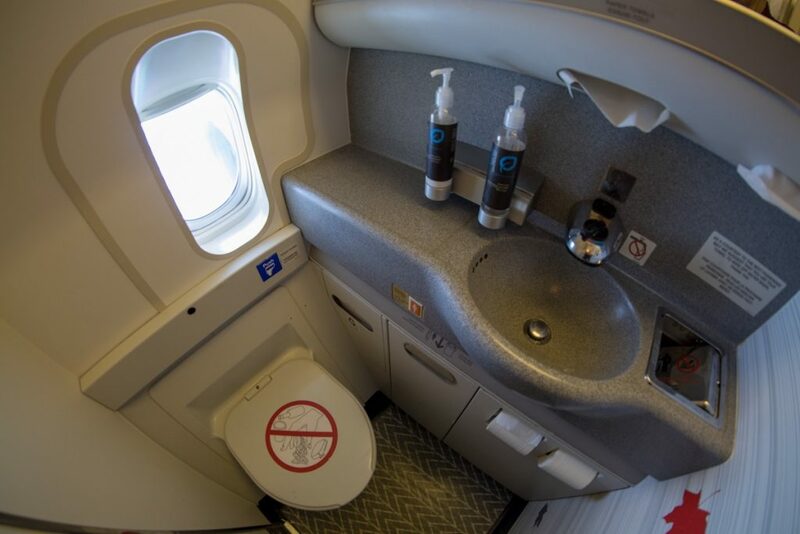 The lavatories afford amazing views out the window! 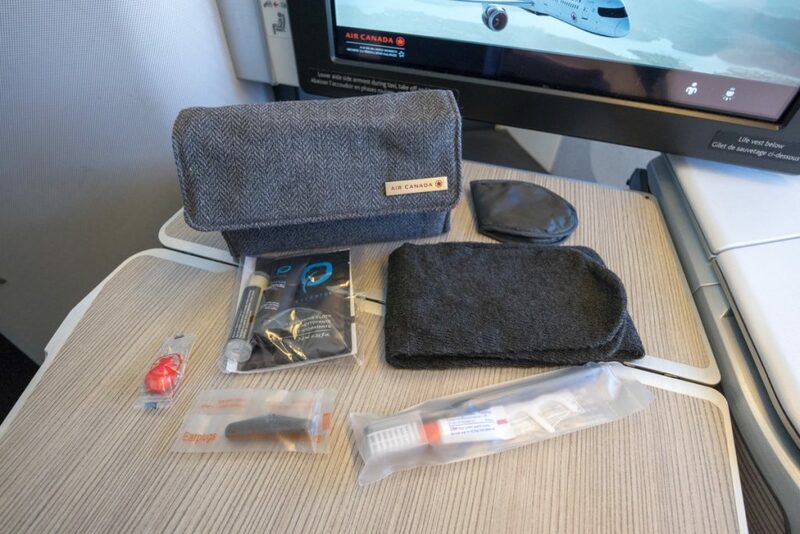 You’ll receive a small fabric amenity kit with a magnetic lock, including socks, earplugs, toothpaste, a toothbrush and an eye mask. 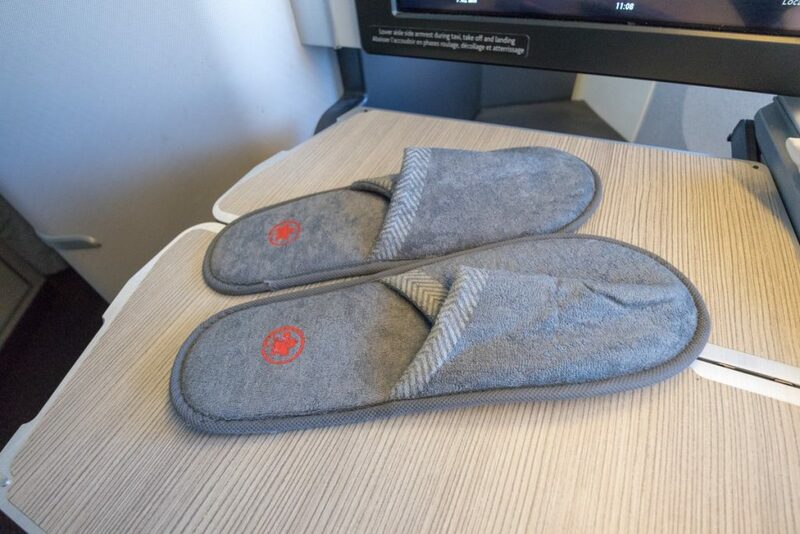 The slippers are a very welcome addition. 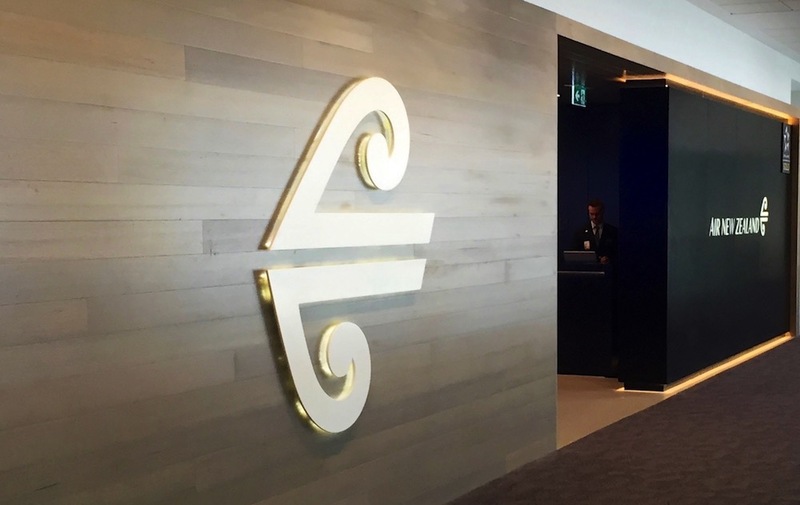 Guests travelling in Business Class are offered to use the Air New Zealand or Singapore Airlines lounges at Sydney Airport (same case in Brisbane and Melbourne). 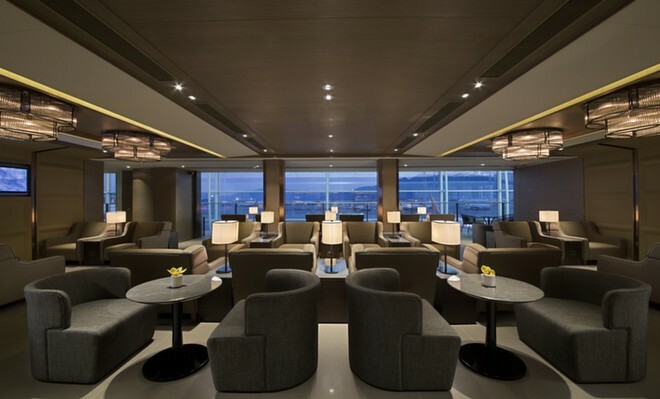 In the other direction, you’ll gain access to the well-rated Air Canada Maple Leaf Lounge. 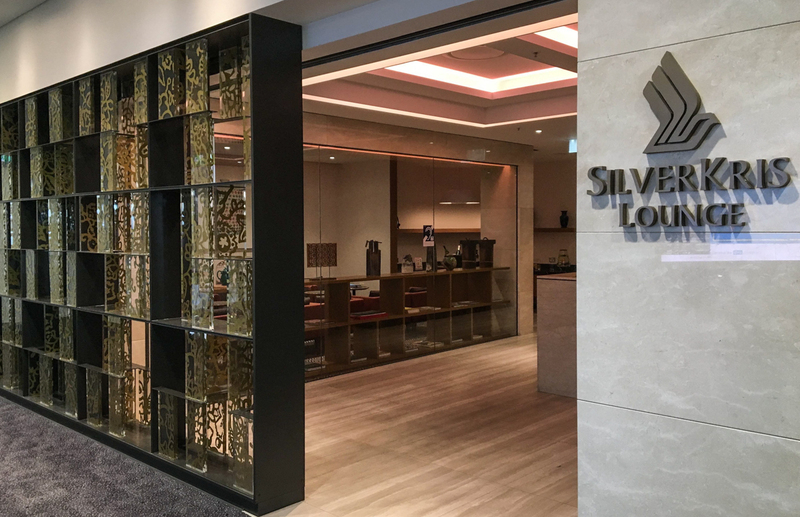 Those with Priority Pass access may want to compare it to the Plaza Premium Lounge, however, the latter’s reviews mention a dated decor and crowded atmosphere. 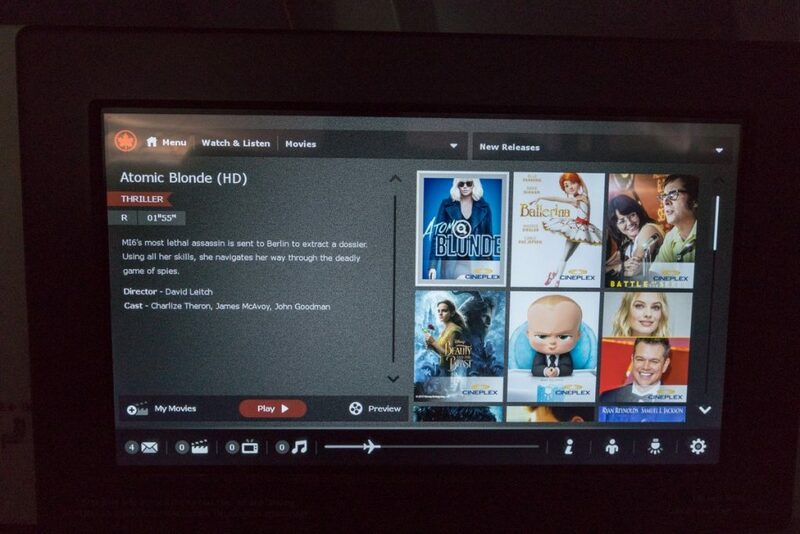 North American carriers do not have the best reputation, yet I was really impressed by Air Canada. The crew were professional, friendly and attentive. 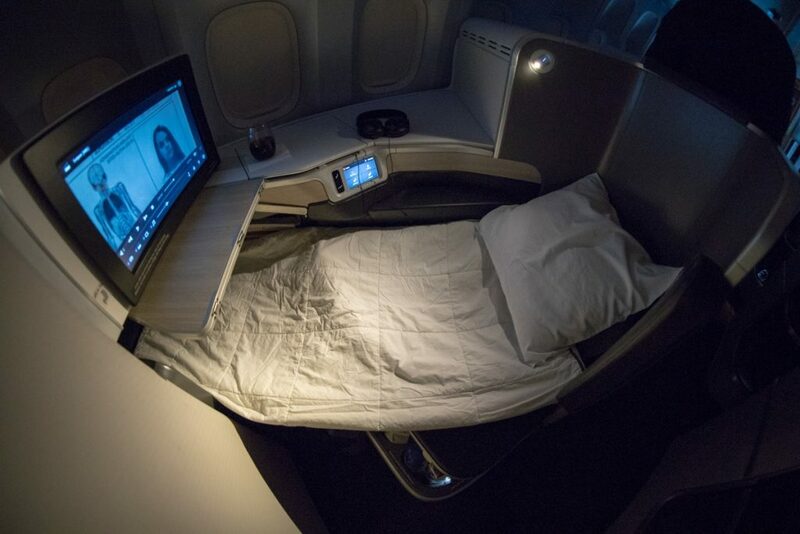 The seat was great yet really needs a mattress topper to make it more comfortable to sleep on. 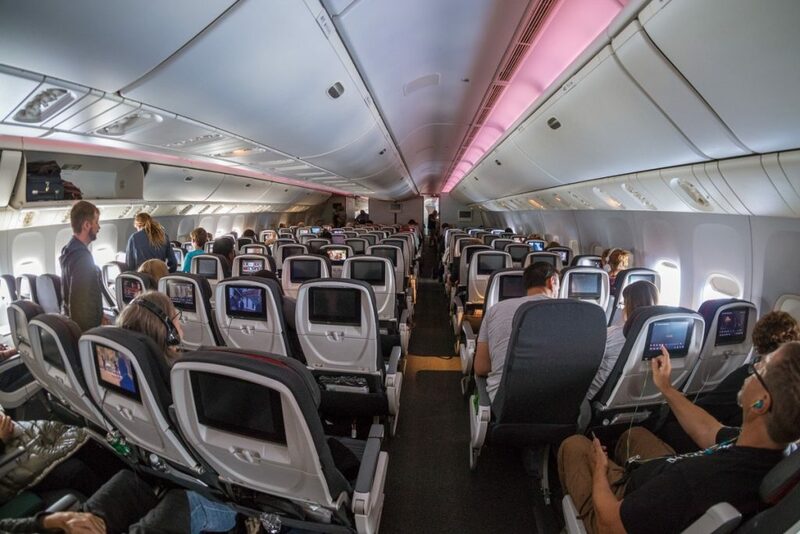 I look forward to Virgin Australia and Air Canada strengthening their new relationship to include codesharing and earning and burning Velocity points on flights to and from Australia, as that will make redemption bookings far more accessible. 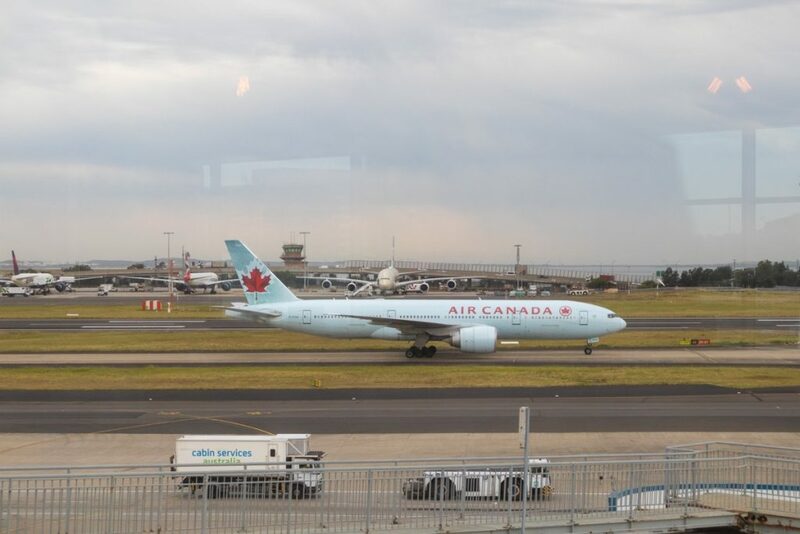 I would happily fly Air Canada again without hesitation. Is there any word on when the VA alliance will be finalised? 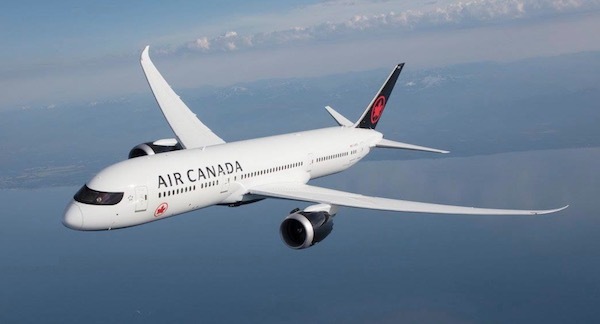 My wife and I are looking to fly to Moncton NB in late September 2019. No update from our end. Just codesharing on selected routes for now, with no earn or redemption opportunities currently available. Flying AC in J might be Ok but in Y, while it used to be Ok when the B777 was 3-3-3 across, is the pits now they have densified to 3-4-3. It is not just the passengers packed in like sardines with overlapping body parts squished together as on a Tokyo subway train but also the crew affected. Their numbers have been cut while the number of passengers has been increased 10% and the space in which they have to work has been constricted, turning their workplace into the pits and not surprisingly they tend to detach from the slave ship conditions down the back for their own psychological well being and who can blame them.